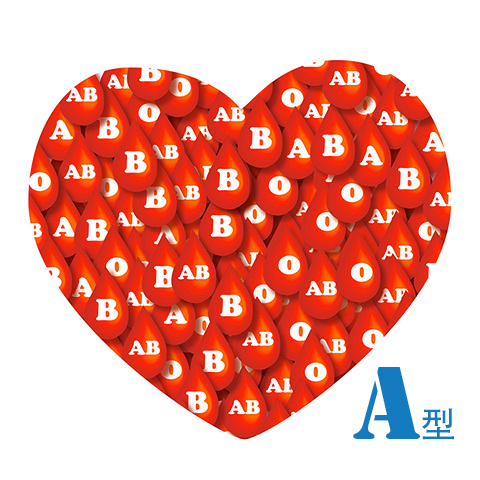 Blood Type Diet Knowledge 血型飮食法資訊 – 食得型 Eat Right! 你會否經常覺得疲倦？這些食物可令你越來越精神！Do you often feel tired? Here are some super foods to help you combat fatigue! Do you often feel tired? Besides getting enough rest and sleep, did you know that by eating what are considered “super foods” for your blood type would boost your energy and help you combat fatigue in a healthy way? Scroll down to download your food list consisting of such super foods. • Avoid or limit animal proteins. • Derive your primary protein from plant foods with seafood used occasionally. • Seafood should be primarily richly oiled cold-water fish. • Include modest amounts of cultured dairy foods in your diet, but avoid fresh milk products. • Don’t overdo the grains, especially wheat-derived foods. • Eat lots of BENEFICIAL fruits and vegetables, especially those high in antioxidants and fiber. • Drink green tea every day for extra immune system benefits. • Eat small-to-moderate portions of high-quality, lean, organic meat (especially goat, lamb, and mutton) several times a week for strength, energy, and digestive health. • Include regular portions of richly oiled cold-water fish. • Regularly eat cultured dairy foods, such as yogurt and kefir, which are beneficial for digestive health. • Eliminate wheat and corn from your diet. • Eat lots of BENEFICIAL fruits and vegetables. • If you need a daily dose of caffeine, replace coffee with green tea. • Avoid foods that are Type B red flags, especially chicken, corn, buckwheat, peanuts, soy beans, lentils, potatoes, and tomatoes. • Eat small to moderate portions of high-quality, lean, organic, grass-fed meat several times a week for strength. • Consume little or no dairy foods. • Eliminate wheat and wheat-based products from your diet. • Limit your intake of beans principally to those that are BENEFICIAL. • Avoid stimulants found in caffeine (coffee, colas, etc.). • Avoid coffee, but drink green tea every day. • Eat soy foods and seafood as your primary protein instead of red meat. • Eliminate chicken from your diet. • Include modest amounts of cultured dairy foods in your diet, but limit fresh milk products. • Don’t overdo the grains, especially wheat-derived foods. Avoid corn flour altogether. • Eat lots of BENEFICIAL fruits and vegetables, especially those high in antioxidants and fiber. Avoid coffee, but drink two to three cups of green tea every day. Among all the “avoids,” perhaps the No. 1 avoid is sugar and processed food that contains a lot of hidden sugar. You might feel energized temporarily after eating a sweet treat, but very quickly you would start to experience a “sugar crash.” That’s because your pancreas has produced a lot of insulin to break down that sugar for storage, but after a short while, when the blood sugar level is lowered, you will have the feeling of fatigue again, perhaps even more than before. Eating simple carb foods, such as a bun or pastry in mid-afternoon, could also make you sleepy. If your circumstances allow, why not replace it with a 15-minute power nap instead? Of course, not having sufficient sleep and adequate exercises would contribute to fatigue as well. If you want to feel more energetic, give these a higher priority in your life. “Ever since I was little, I had been having skin allergy. I have seen a lot of doctors but the best I could get was temporary relief. I thought it had to do with the type of skincare products I used. A few years ago, I visited Russia. During the trip, I ate a lot of tomatoes and corn. There weren’t many other vegetables available and I was shocked that these were what people ate day in and day out! When I came back, I got a serious case of skin allergy. My entire mouth was swollen. The doctor said it may have to do with nutritional imbalance, but he couldn’t offer a solution. A few months later, I even had a severe case of tonsillitis and was admitted to the hospital’s emergency room. The doctor could not pinpoint what the cause was. Top photo by Eat Right. Bottom photo by keem1201, royalty-free image from Pixabay. © Article and image：Copyright of 食得型 Eat Right 2015. You Are What You Eat! 你就是你所吃的食物!